David is the owner of TradeLC Avisory ( www.davidmeynell.com), a recently established trade advisory consultancy. He was previously Global Head of Trade Product Management Financial Institutions for Deutsche Bank. 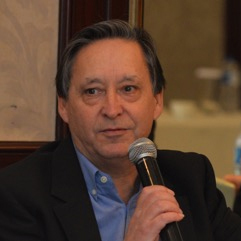 David is a long-serving member of the ICC Commission on Banking Technique and Practice, with involvement in numerous ICC drafting groups including eUCP, ISP98, ISBP Revision and the Bank Payment Obligation (BPO).